If there’s one thing men and women share a love for; it’s a pair of shoes. A man may have only five different coloured trousers in his wardrobe but he is sure to own an equal if not more number of shoes to match each of these. Like everything else in a man’s wardrobe, his shoes can be categorized as formal and informal. While Oxfords are formal wear and sneakers fall under casual wear, loafer shoes are the one type of shoes that fit both these categories. Loafers were originally conceptualized as casual wear. Their design was adapted from the simple shoes Norwegian fishermen wore in the late 1800s. These were nondescript, comfortable shoes crafted by joining together two leather sides with another strip of leather across the instep. They were originally known as ‘weejuns’ and were popular with college students but not considered appropriate for corporate wear. It was only in the early 1900s that designers slicked up these shoes and started promoting them as formal wear. One of the most notable changes was the creation of black loafers. Today, loafers are available in every color and their versatility makes them must have shoes for men. 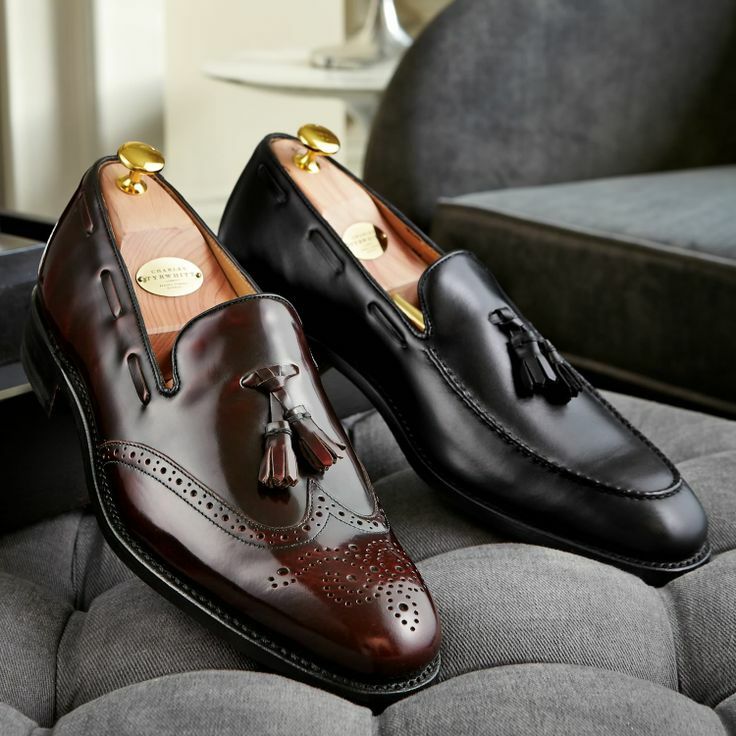 While the basic form of loafers has remained the same, they have evolved in terms of trims and finishes to keep pace with trends. The only outfit, a pair of loafers may look mismatched with is a tailored formal three piece suit. Casual loafer shoes make a style statement without compromising on comfort when they are paired with a pair of shorts, denim or a pair of chinos. To wear them with or without socks is a personal call. On the other hand, you can pair loafers with a blazer or a sports jacket for a semi-formal look. The trick here is to pair light colored shoes with casual outfits and darker loafers with fewer trims for the more sober look. It goes unsaid that wearing loafers without socks is not advisable for formal events. Not finding time to go shopping is no longer a valid excuse for not buying shoes. With online shopping, you don’t have to worry about taking a long lunch break or stepping out of the office early to go shoe shopping. You can buy shoes online without moving from your desk. All you need to know is your correct shoe size. What do you need to do to become a lawyer?